As I’m going to purchase this from Japan, wondering if anyone else will want to buy this as well. I’m selling this at a flat price of $48 otherwise the demand may be too much for me. I probably can only handle 5-6 mahjong sets back? Deadline is 11 July. First come first serve. It is not easy to purchase this on your own because if you order on amazon on your own, there is no scheduled shipping for you to select. Regular shipping can take from 1 week to 3 weeks. I had to email to their distributor directly for a scheduled shipping. I cannot guarantee you the quality of this washizu mahjong set as I have not seen it before. But it is made in china. If you want to buy a made in Japan one, it cost around 44k yen. For such a low price, and for the fun of owning one, I’m just gonna buy it anyway. 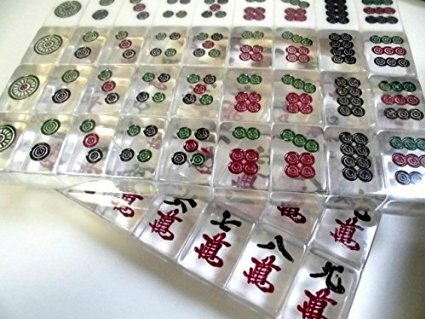 If you would like to purchase a regular riichi mahjong set, please contact me personally for more information.